This video is part of a MUFON report that came in today. 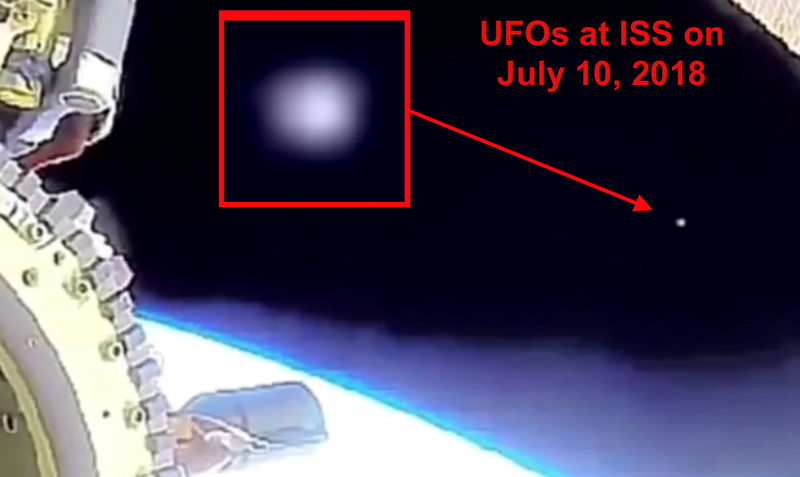 In the video we see several white UFOs that move past the space station during a space walk this week. The UFOs are there to observe how humans do things on the outside of the space station and in stressful environments. Watching humans under stress teaches aliens a lot about us, including how we may react to meeting a real alien.